"The stories you’ll find in UNCLE SCROOGE #400 are truly some of the rarest and greatest Scrooge tales ever published," said BOOM! Marketing Director Chip Mosher. 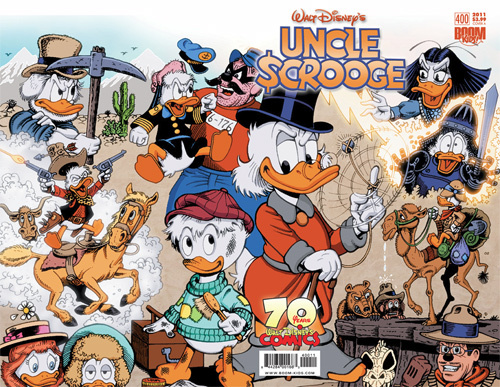 "Fans demanded classic Scrooge tales, and trust me when I say there’s no better place to start than UNCLE SCROOGE #400. How can you go wrong with Carl Barks, or Daan Jippes, or any of the amazing creators in this book?! And this is only the beginning. Classics are definitely back at BOOM!" The issue features Giorgio Cavazzano’s “The Duck Man” (Zio Paperone e l’uomo dei paperi), a truly unique story in which a reporter visits Carl Barks at his home in Grants Pass, Oregon, to interview him. 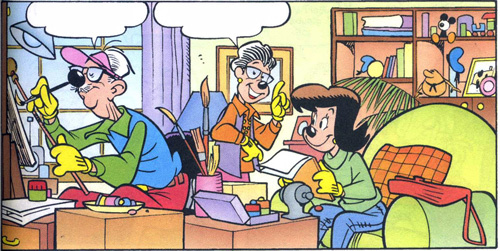 They talk about some of his stories and visit Duckburg’s famous characters that Barks created. Other stories in Uncle Scrooge #400 include three Barks one-page gags and Daan Jippes’ Obsession. 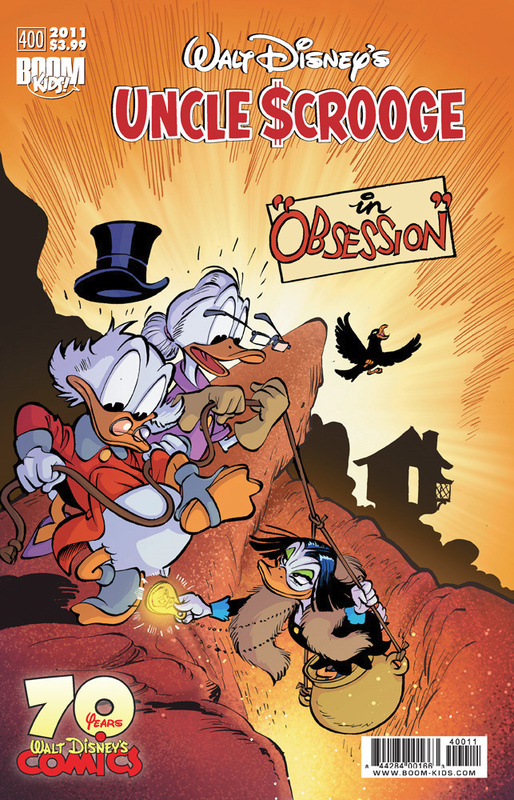 You can pre-order Uncle Scrooge #400 for $3.19 here and the Deluxe Edition for $5.59 here. This entry was posted on Sunday, December 26th, 2010 at 3:06 pm	and is filed under Anniversaries, Boom! Studios, United States. You can follow any responses to this entry through the RSS 2.0 feed. You can leave a response, or trackback from your own site. 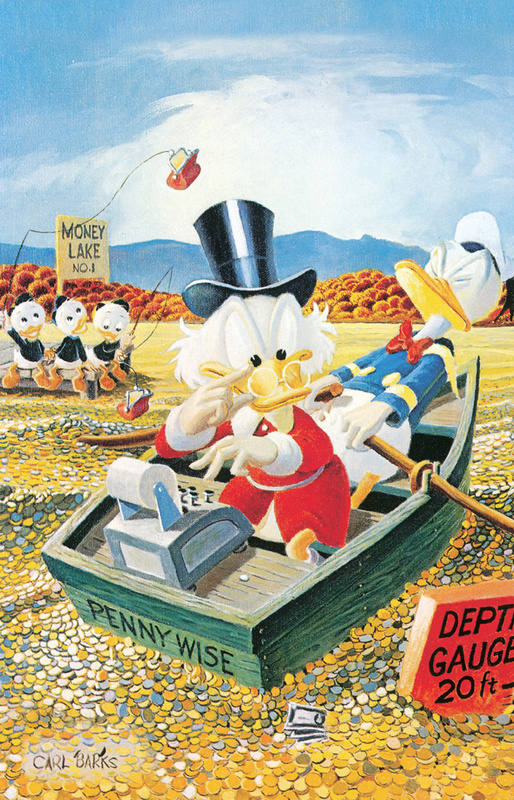 Hello, I would like to know if you can send versions (current and past issues) of Scrooge McDuck in other languages to me here in the US. I am looking for something along the lines of “lustiges Tachenbuch”. If you can please list which languages they come in. Thank you.